Our product range includes a wide range of belt conveyors, air blower, bucket elevators and hammer mill. 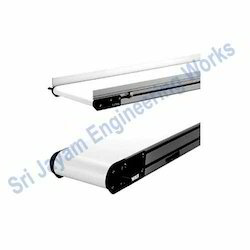 We hold expertise in providing a wide range of Belt Conveyors to our clients. Our ranges of products are used to transport industrial and agricultural materials such as grain, coal, ores etc. We also offer our range in different specifications to meet the individual requirement of our clients in the best possible manner. Furthermore, we meet the bulk demand of our clients within a given timeline. These are easy to operate, install and consumes low power. 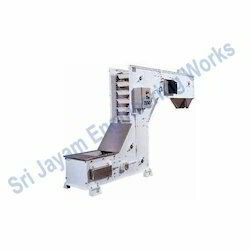 We export these conveyors at cost efficient prices. We offer a wide assortment of Air Blowers that are used to move air in various industrial applications. Its heavy-duty construction and sophisticated design makes it durable and highly efficient. The air blower is used in diverse industries specially cement, construction, processing and others. These can be customized as per the technical specifications provided by our clients. An Air Blower is used for blowing the air for different types of materials like cement and other raw materials used in industries. The air blowers is made up of heavy sheet and with a high pressure. The air blowers are highly efficient and long lasting and durable and have the capacity to do the work of heavy loads with easy maintenance and resistance free. 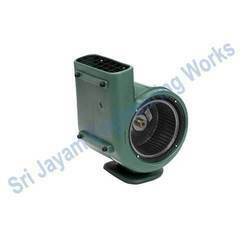 We export and supply all types of air blowers to customers as per their needs. Our clients can avail an exclusive range of Bucket Elevators which is designed using best grade raw materials. These are available in different widths and lengths and can be customized as per the requirement of our clients. 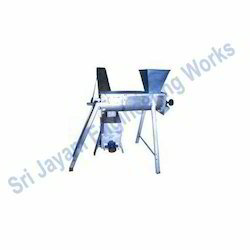 This is used in dragging bulk materials; our range consists of a belt to carry the buckets, accessories for picking up the material, means to drive the belt. We export our range of products in different sizes and are available at cost efficient prices. Construction: Designed like a construction box with standard length leg sections for easy assembly. Sections: It has three sections - top or discharge section, middle or trunk section and the bottom or intake section. The trunk sections can be added or removed to adjust the height of the elevator. Frame: It has an all-steel frame for rigidity with cross supports at regular intervals between the legs also doubling as built-in ladders. Belting: The belt has been made from rubber coated, multi-ply synthetic fiber. Buckets have been attached at regular intervals and run over top and bottom crowned pulleys. Buckets: Buckets have been created from deep drawn steel of adequate gauge that is attached to the belt by locking type bolts that sit flush with the belt face. 3 Phase Motor: It is provided with an enclosed fan cooled induction motor. All bearings are of the Universal Flange Cartridge type, which are known for their lifetime lubrication. Hammer Mill is well-known for the qualitative features of robust construction high output with low power consumption. We supply these hammer mills after performing grinding tests at our experimental station before it is delivered to the esteemed clients. They are used in various industries such as plastic, cement, salt, chemicals, mineral mixtures etc. These are well known for their higher performance, durability and efficiency. We supply these hammer mills in different sizes and specifications to meet the needs of diverse end applications. Suitable for powdering grains, chemicals, herbs, minerals, spices, cattle feed, chemicals, oil cake, tea, coffee, crude drugs, molding powder, dry soap, charcoal and other products. These machines consume less power and operate on low temperatures.